FreeCAD is a cross platform parametric modeler that lets you create professional looking 3D objects. 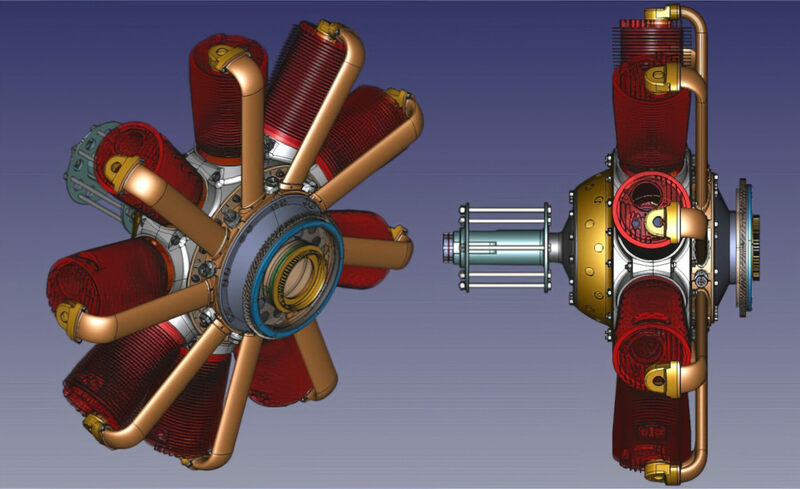 While the program has a lot of powerful features, no prior 3D or CAD experience is required. Not only is it easy enough for the hobbyist, but it’s got enough power for experienced CAD users who need advanced features. There are a lot of features here but the interface arranges them as virtual work benches so only the tools you need to use appear onscreen, a very useful concept and keeps the interface from being cluttered. FreeCAD modeler is fully parametric so an object’s shape can be undone or redone as they are stacked. Furthermore, its modular architecture lets you add modules to expand the power of the core application. These extensions can be simple macros or something complex developed in C++. FreeCAD also comes with a Sketcher for creating 2D shapes and constrained geometry, and for advanced users there’s a Robot simulation for analyzing robotic motions. One of the modules, Drawing, lets you apply 2D views on three dimensional objects on a sheet. The list of impressive features on FreeCAD goes on, as there’s also a Rendering module allowing for 3D object exporting so you can render it in other applications like POV Ray. Other features include planar geometry creation, Boolean operations, repairing tools and more. 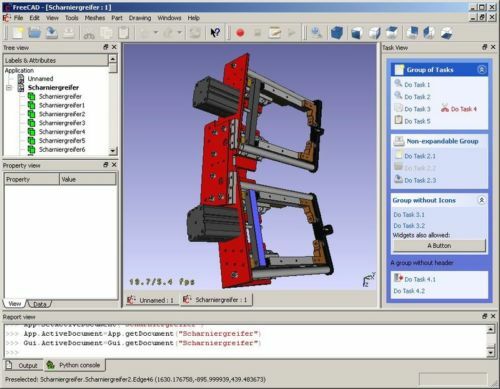 FreeCAD is definitely one of the powerful 3D CAD modelers available today, and its features rival those of commercial CAD applications. Fortunately, its powerful features are matched by ease of use.